Chicago’s distillery scene is becoming every bit as celebrated as the city’s thriving craft brewery explosion. And nothing’s more fun than a chance to sample the goods! 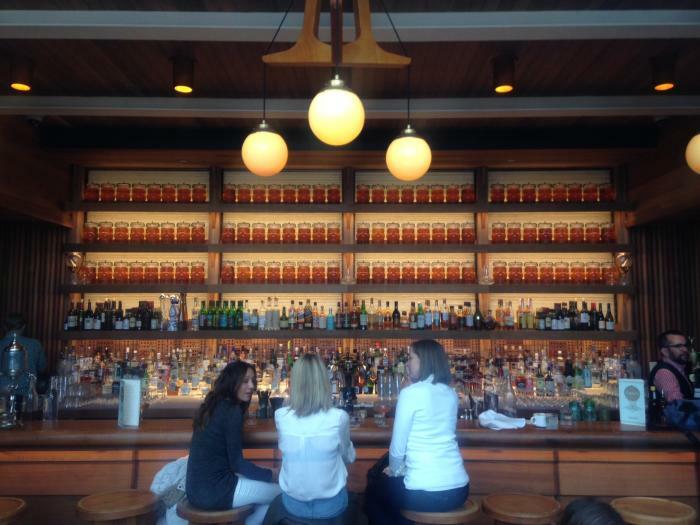 Here are seven distilleries ready to quench your thirst. 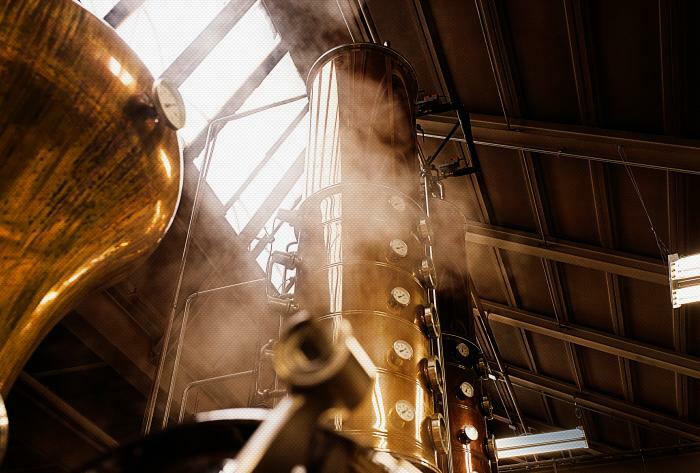 For an up-close-and-personal experience, make sure to take one of the Distillery Tours. WHAT YOU&apos;LL FIND: Making its home at the entrance of the city’s famed Restaurant Row in the West Loop, CH Distillery blends right in with the character of the neighborhood, boasting an industrial-chic lounge where cocktails sourced from its onsite stills are served. The name of the company refers to the initials of the fundamental compounds in alcohol: carbon and hydrogen, which says everything about their scientific approach to the distilling process. While CH Distillery is best known for its vodka, produced using organic Illinois grains, it also distills more than 20 additional products, including gin, rum and flavored specialty spirits. TASTING ROOM: As Chicago’s only distillery with an attached restaurant and hip bar (known as The Bar & Table), it’s hard not to stay for tasty Louisiana-inspired plates such as blackened red fish and chicken & Andouille gumbo, as well as signature cocktails concocted from spirits and mixers made in-house. A couple of standouts include Destinee’s Child, consisting of CH Mezcal, the exotically named CH Crème de Amethyst, lime, OJ and agave; and Donde ‘Stas Yolanda, with CH Bourbon, CH Fernet, egg white and lemon. Hours: Tue-Thur 4-10pm, Fri 4-11pm, Sat 5-11pm, closed Sun and Mon. Make your reservation. 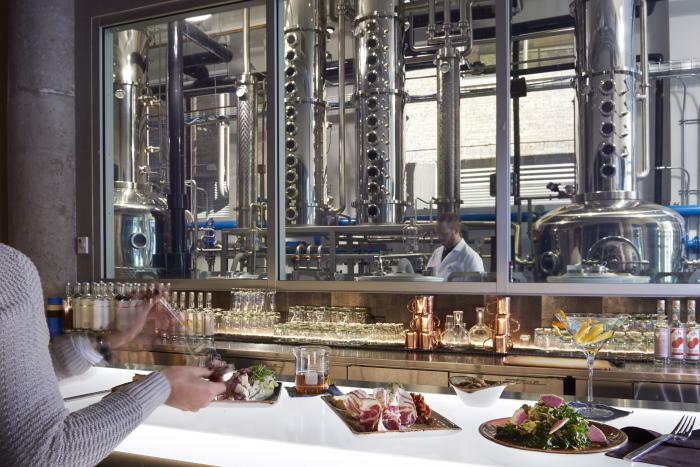 TOURS: "The Science of Alcohol Tour" includes “The Tradition,” CH Distillery’s interpretation of the classic Russian way to drink vodka — ice cold with rye bread and pickles. Tours take place Tuesdays and Saturdays, 5:30pm. $15/person. Book your tour. WHAT YOU&apos;LL FIND: The DiPrizio family opened the Chicago Distilling Company back in 2010, and it remains a family owned and operated business today. Stop by and you’ll find them distilling, crafting, bottling and packaging everything by hand in their Logan Square facility. TASTING ROOM: The 1,700-square-foot tasting room serves small-batch spirits crafted on the premises from Illinois grains, and whoever is pouring is happy to answer any questions about the distilling craft. Open Thurs - Sat at 5pm, and on select Sundays. TOURS: Thursday, Friday and Saturday 6:30pm $10/person. Take a one-hour tour to glimpse the process by which Chicago Distilling’s spirits are made. The $10 tour fee includes three tastings. Bottles are available for purchase if you want a little something to savor at home. EXTRAS: An added bonus is that Revolution Brewing is just down the street, so you can get your fill of exemplary craft beers while you’re in the neighborhood. WHAT YOU&apos;LL FIND: Chicago’s first distillery since Prohibition, Koval is nestled on an unassuming street in the Ravenswood neighborhood, where it crafts handmade, organic and Kosher, grain-to-bottle whiskeys, liqueurs and spirits. TOURS: Tours last between 45 minutes and an hour, and are offered every Wednesday, Thursday, Saturday and Sunday. Koval staff takes its time explaining the differences between white and aged whiskey, the intricacies of distillation, and the beauty of small-batch spirits. This isn’t just a talk-and-walk tour. Guests get to see where each step of the process takes place, while enjoying tastings of numerous spirits along the way. Wednesdays 7pm, Thursdays 12:30pm, Saturdays 1, 3 and 5pm; Sundays 2 and 4pm. $10/person. 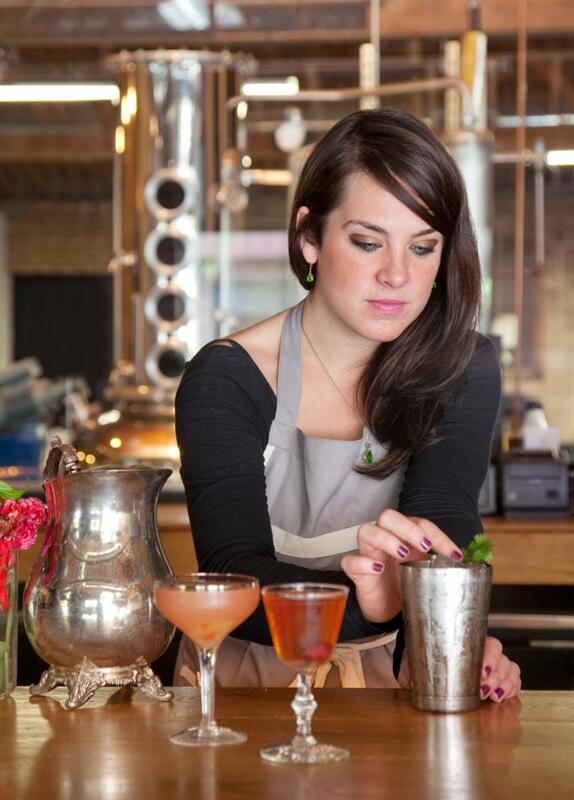 EXTRAS: Want to take your distilling education up a notch? Take one of Koval’s cocktail classes or whiskey workshops, where beginner to more advanced mixologists get creative. WHAT YOU&apos;LL FIND: At Rhine Hall, brandy rules! This small West Loop distillery is owned and operated by father-daughter team Charlie and Jennifer Solberg, who specialize in handcrafted fruit brandies (also known as eau de vie or schnapps). Fruit is sourced from the Great Lakes area, and distilling takes place onsite withno flavorings, sweeteners, or neutral spirits. Each bottle contains roughly 25lbs of fruit and that’s pretty much it. “This process gives us a product that is not sweet, but embodies the essence of the fruit in both taste and aroma,” the folks at Rhine Hall explain. TASTING ROOM: The gorgeous, bright and airy tasting room offers tastings, flights, cocktails and bottles. Take your pick from Apple Brandy cocktails, Grappa cocktails and Special Edition cocktails. Open Wed-Fri 5-9pm, Sat 2-7pm. TOURS: Take a tour while you’re there (they last approx. 45 mintues) for an inside look at every step of the production process. The tour ends with a tasting of Rhine Hall’s flagship product, Rhine Hall Apple Brandy. Wed-Fri 6:30pm, Sat 3 and 4:45pm. $10/person. Private tasting and tour with the owner: Selective Thursdays at 6:45pm. $45/person. If you’re after the special treatment, reserve a private tour with the owner, where you’ll be allowed an exclusive and intimate look at Rhine Hall, its history, process and products, while sipping on a flight of six of the distillery’s spirits with Jenny or Charlie. Serious connoisseurs will be happy to know you also get access to some exclusive releases that are no longer generally available. These 60-minute private tours are held on select Thursday evenings and cost $45/person. EXTRAS: For a truly immersive experience, though, take one of Rhine Hall’s cocktail classes. Liquid Confidence, for example, teaches you all about fruit brandy and grappa mixology, at the end of which you’ll create your very own signature cocktail. Classes run approx. 1.5-2 hours and cost $55/person. 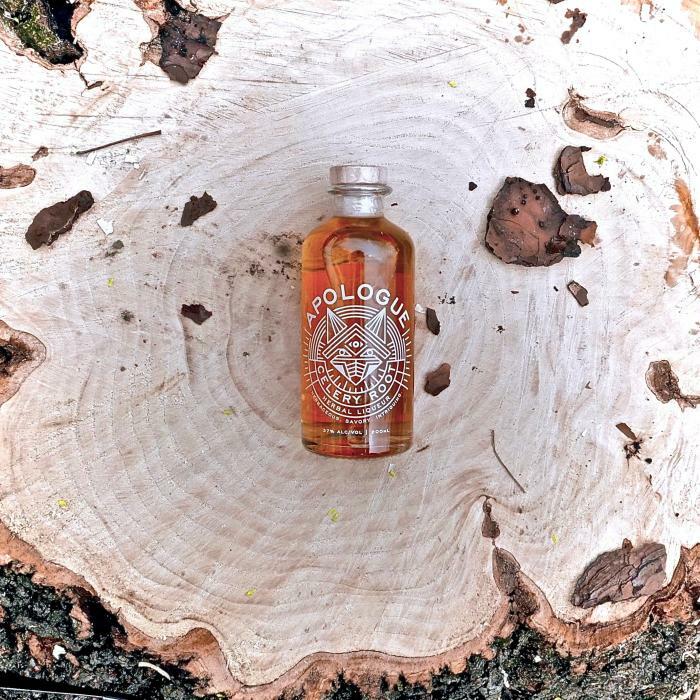 WHAT YOU&apos;LL FIND: Apologue founders Robby Haynes, Jordan Tepper and Ziyad Asrar are shifting the paradigm when it comes to the nature of a liqueur with a new line of palate-provoking, spirited creations. Expressions that include aronia berry, celery root and persimmon give a more savory than sweet taste. The liqueurs are responsibly sweetened with organic cane sugar, and feature full ingredient transparency right on the label, spotlighting the fruits, roots, herbs and barks in each bottle. TASTING ROOM: Apologue is not open to the public. Enjoy Apologue at Spiaggia in River North, Cindy’s Rooftop in The Loop, La Sirena Clandestina in the West Loop, The Violet Hour in Wicker Park, Punch House in Pilsen, and about a dozen other Chicago restaurants and bars. TOURS: Tours of the facility are not available. 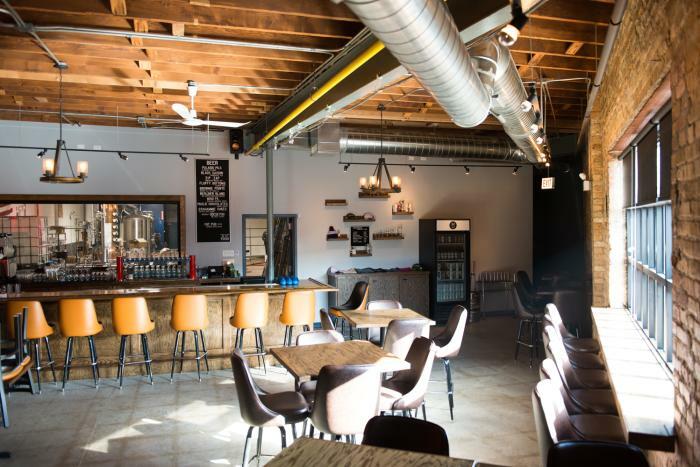 WHAT YOU&apos;LL FIND: Maplewood Brewery and Distillery, located down a quiet Logan Square block, exudes a neighborhoody, laid-back vibe, with its comfy chairs, oak bar seating and large window giving guests a sneak peek into its production process. TASTING ROOM: The Lounge, featuring exposed brick and concrete floors, offers beers on tap, including Double Milk Stouts, Pale Ales and IPAs, and specialty cocktails made with Maplewood’s own Brewers Gin and Fat Pug White Whiskey, among other spirits distilled onsite. Lounge hours: Tue-Fri 4pm-midnight, Sat 12pm-2am, Sun 11am-midnight. Kitchen open until 10pm. EXTRAS: A collaboration with their catering neighbor provides guests with food options such as beer mac and cheese with buffalo chicken and Publican Toulouse Sausage, cleverly passed through a space between the buildings. Look for the white-lit sign outside with the M logo, which pays homage to the Chicago flag and Old Style bar signs, further reminding us that this neighborhood favorite is more than just a taproom. WHAT YOU&apos;LL FIND: Nothing says Chicago quite like Letherbee spirits – born of “a twist of fate, punk shows, and late-­night drinking at local dives.” The distillery has since grown into a family of sought-after spirits distributed across the United States and Europe. Try the Original Label Gin, Barrel­-Aged Absinthe, Autumnal and Vernal Gins, Bësk and Fernet for starters! Specializing in botanical spirits, this distillery is best known for its clean flavor, and is frequently featured on some of the best cocktail menus in town. WHAT YOU&apos;LL FIND: Technically lying just beyond Chicago city limits, getting to Evanston from downtown Chicago is a breeze. At Few, you&apos;ll find handcrafted, small-batch spirits that are "By the Few, For the Few" — hence the name. Recipes include Breakfast Gin, Bourbon Whiskey, Single Malt Whiskey, Barrel Gin, Rye Whiskey and American Gin. TASTING ROOM: The Tasting Room is open Wednesdays-Fridays from 2pm-6:30pm, with the Few team leading guided tastings and serving up a simple cocktail. TOURS: Take a walk through the distillery, learn the history of liquors in Evanston and enjoy a generous tasting of Few&apos;s award-winning spirits. Tours are currently offered:Wednesdays and Thursdays at 6pm, Fridays at 2pm and 6pm, Saturdays at 2pm, 3:30pm and 5pm, and Sundays at 1pm and 2:30pm. Tours are $10/person and include a tasting.